Owned and managed by the Town of North Yarmouth and acquired with the financial support of Royal River Conservation Trust members and donors, Chandler Brook Preserve is a 65-acre property that borders Chandler Brook, one of the major tributaries to the Royal River. The preserve features 2.9 miles of trails that follow the brook and surrounding fields. 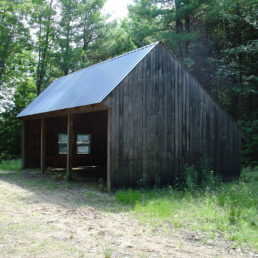 The property also includes remnants of an old farm, including two large hay fields and a hemlock forest. This preserve provides excellent bird-watching opportunities and is home to abundant birdlife, wildflowers, hemlocks, and woodland animals. The open fields and trails are popular for equestrians. Click HERE for information about paddling the segment of Chandler Brook that is adjacent to this preserve. Visitors will find well-worn, natural paths in the forest and along the brook. These trails connect to the mowed paths around the perimeter of the fields, and connect the upper and lower fields. Some of the lowland trails can be wet in sections after heavy rains and in the spring. 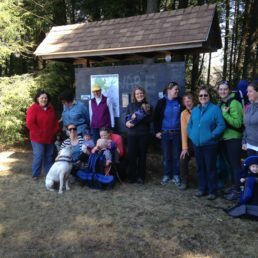 All trails are easily accessed from the parking area and trailhead on North Road in North Yarmouth. To get there from the intersection of North Road and Memorial Highway (Route 9) in North Yarmouth: drive one mile north on North Road, take a right onto a gravel driveway when you see a blue “Chandler Brook Preserve” sign. Stay left as the driveway forks. A small parking lot for preserve users is at the end of the driveway, just before a railroad crossing and kiosk. GPS address: 1409 North Road, North Yarmouth. Permitted uses include hiking, horseback riding, and snowshoeing. Dogs are permitted, but please remember to clean up after your animals (dogs and horses) while visiting the preserve. Additional rules and regulations are posted by the Town of North Yarmouth. 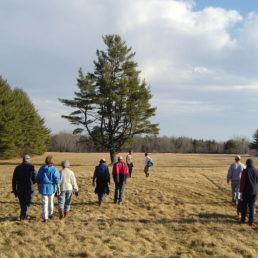 The Town of North Yarmouth allows hunting on the Chandler Brook Preserve. Always wear orange during all hunting seasons. Chandler Brook, a major tributary of the Royal River, is accessible from the Royal River Water Trail section from Wescustogo Park to Route 9. Access the Chandler Brook Preserve from the boat launch on the Royal River off of Route 9 at Old Town House Park and paddle upstream. Paddlers will encounter no currents except minor rapids (easy to pole, push, or line upriver with no portage) under the North Road bridge. Approximately one mile up the Chandler from Route 9 paddlers should expect impassible downed trees. Please note that the banks of Chandler Brook are too steep for boat access or convenient foot access. More information on the Royal River Water Trail is here. The Preserve is owned by the Town of North Yarmouth, acquired and protected with a conservation easement held by both the Royal River Conservation Trust and the State of Maine Bureau of Parks & Lands. Funding for acquisition included donations from Royal River Conservation Trust members, State of Maine proceeds from the sale of the former Pownal State School to the Libra Foundation.